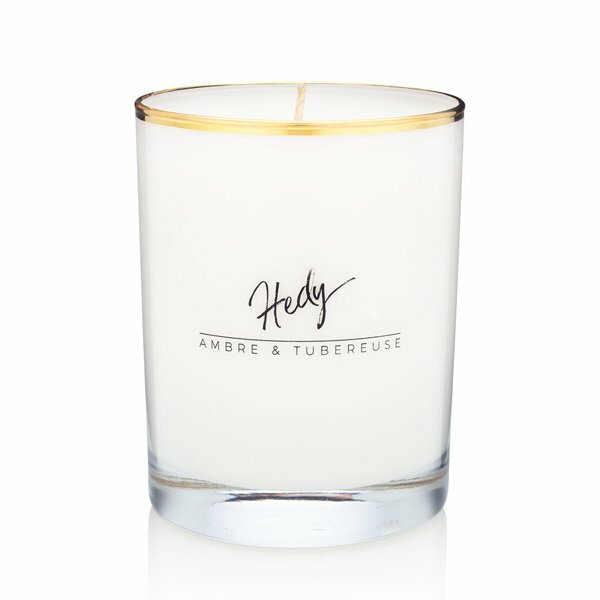 Bijou Hedy (Amber & Tubereuse) Candle is where deep amber and exotic tubereuse exude pure sensuality. Neroli, sandalwood and musk reveal a more complex, hearty core. Scent notes: a perfectly messy bun, fancy lingerie, long weekends.  Based on the idea that a luxury candle habit shouldn't have to be an expensive one, Bijou offers amazingly scented, ethically made, affordable candles that you can use every day. Bijou Candle's STARLETS Collection light up the silver screen with these classic beauties. Featuring glamorous scents from dreamy florals to complex musks; You've found your leading lady. 22-karat gold rimmed vessel.